A spokeswoman for the pharmaceutical-specialist agency said it has entered a 30-day collective consultation period with its employees. In April 2008, United Drug, a company that provides services to healthcare manufacturers and pharmaceutical retailers, acquired agency Universal CIT for more than £10.9m. 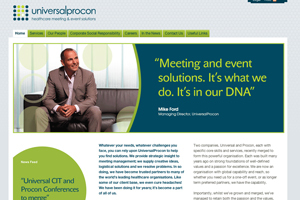 The agency was rebranded as Universal Procon. The agency, which has five offices in the US and UK, including Slough, employs more than 150 staff and runs in excess of 500 events annually.